"On June 26 1939 the prototype Model 12 flew for the first time and in doing so became in icon of the Golden Age of Aviation. Lockheed built a total of 130 Model 12’s ending production in 1941. 75 years later Golden Age Simulations releases the Model 12 for Microsoft Flight Simulator X." and factory flight manual authored by C.L. Johnson, himself! Unique Interiors and much more! 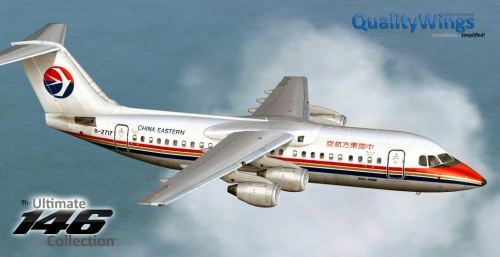 QualityWings has posted new livery previews from the upcoming BAe146/Avro RJ for FSX and FS2004. Orbx has released Port Macquarie Airport (YPMQ) Version 3 for FSX. Details at the Orbx Website. FSDreamTeam has posted more preview screenshots from Los Angeles Intl. Airport (KLAX) in the FSDT Forums. LatinVFR has released Key West International Airport (KEYW) for FSX and FS2004. Purchase at SimMarket. · Updated Vmo Cue and Vstall Cue graphics. · Changed aileron deflection time limit to zero. Did this because they are not hydraulically controlled. · Reversed the action on the pitch_mode autopilot wheel. Down is up and up is down now. · Updated colors of the Artificial Horizon. · Updated the VSI tape graphic. · Changed the way the TUNE knob works. Now works with 4 commands, which work similar to how the 3d panel TUNE knobs would work. No more Scrolling up or down. · Added ADF1 and ADF2 to the ARCDU. · Added MFD1 & 2SelectorKnob Functionality for NAV,SYS, DOORS, and ENG. · Adjusted Fuel Tank center position. · Added logic for fuel imbalance annunciation. When fuel in each tank differs by 600lbs, all fuel annuns turn yellow. · Fixed hash marks on altitude tap. · Fixed issues with “Hot and High” takeoffs. · Added logic for engine failures. · Added de-rated takeoff power options. Buttons for this are on the Engine Control Panel. · Added Max Takeoff Power (MTOP) button to allow for max takeoff power, which gives you 106% TRQ. · Added the option to change the change the Baro setting between IN and HPA, you can do this by clicking next to the Baro setting on the PFD. · Changed the RadAlt Indicator. The box only shows up when at or under 2500ft Rad Alt like it should. · Fixed the Alt Select Bug and indicator, they now change to yellow when closing in onto your preselected altitude as they should. Along with this you now will see Alt*. · Added in code to stop the screens from displays dark when switching to theQ400 from another add-on. This normally left you in the dark wondering where the light switches were, but not anymore. · Engine intake switches will only turn the inlet heater on now if there is hydraulic pressure, on top of normal 15°C rule. · Added RMI to the PFD as well as associated DME. You can switch between VOR ADF and FMS on two needles using the panel under the FMC. · Added Weight and Balance Manager as a popup with many settings. · Added door animation which can be toggled from the DOORs MFD screen. · APU now uses fuel when turned on, drawing from the left tank. · Adjusted the roll effect from P-factor and Torque by adding roll stability. · Separated the High and low rez into two different folders. This allows you to save about ¾ the file size. The first version of LINDA (Lua Integrated Non-complex Device Assigning) has been released for download. Khamsin has updated the North American T-28C Trojan for X-Plane to version 1.1. - Fixed bug "Perpetuum mobile"
- Fixed bug "dead generator"
- Mixture handle now sticks to "full rich", "normal", "cut-off" with no intermediate setting. - All sounds are now "spacialized"
- New sound : fuel boost pump. Aerosoft is holding a 20% off sale on various flight simulator tools. Valid thru Sunday June 26th 2011. Freeware Palmas Tocantins-Brigadeiro Lysias Rodrigues Airport (SBPJ) for FSX is now available at Terra Brasilis. The freeware Falaise-Monts d'Eraines Aerodrome (LFAS) for X-Plane has been released at the XPFR Website. 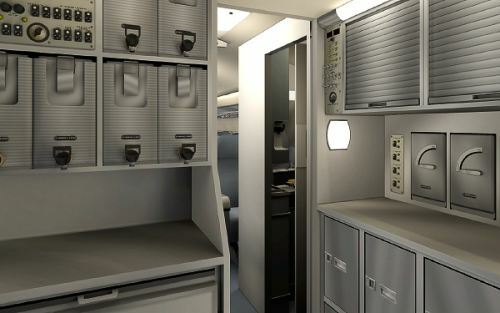 XP Jets has posted the first virtual cockpit renders from the Boeing 777-200ER for X-Plane. The Take On Helicopters Community Preview is available for all owners of Arma 2: Operation Arrowhead. Welcome to the Take On Helicopters Community Preview! Why? Gathering feedback before the official release, rewarding our loyal community, and preparing the modders! Taxi2Gate has released version 2 of Monterrey International Airport (MMMY) for FSX and FS2004. Orbx has posted some seasonal previews from the upcoming Diamond Point Airport (2WA1) for FSX. Thai Creation has posted more screenshots from Ho Chi Minh City - Tan Son Nhat Intl. Airport (VVTS) for FS2004. FSAddon has posted new preview pictures from the final beta version of the Fieseler Fi 156 Storch for FSX. 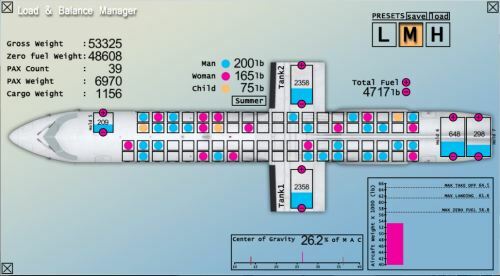 FlyJSim has posted an image of the Load Manager from the upcoming update to the Bombardier Dash 8 Q400 for X-Plane. 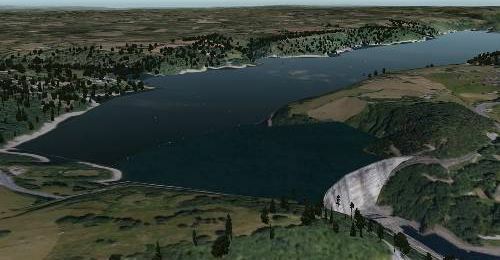 Aerosoft has released Mega Airport Zurich 2012 (LSZH) for FS2004. Purchase at the Aerosoft Online Shop. The freeware Moscow Sheremetyevo Airport (UUEE) 2011 for FSX is now available to download at AVSIMrus. Freeware Cairo International Airport (HECA) for FS2004 is available to download at the VATEG Website. 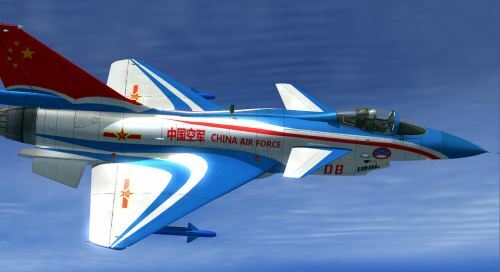 The Bear Studios - Chengdu J-10 'Vigorous Dragon' ADT Edition for FSX and FS2004 is now available at SimMarket. Pacific Islands Simulation has posted new preview screenshots from Fua'amotu Intl. Airport (NFTF) for FSX. You Want Manuals? We Have Manuals! Watch this overview video of the Precision Manuals Development Group (PMDG) 737NGX Chief Pilot Manual Set. LatinVFR has posted the first FSX preview images from the upcoming Key West Airport (KEYW) for FSX and FS2004. FlyTampa has posted more previews from the upcoming Athens Elefthérios Venizélos Airport (LGAV) for FSX and FS2004. Mario Noriega has released version 2.1 of the freeware Douglas Piaggio PD-808 for FS2004 at AVSIM. FISD has released the freeware Itä-Helsinki-Järvenpää-Kerava Photoscenery for FS2004 at FSnordic.net. Albert Claudi has released the New Kassel Airport (EDVK) version 2.0 for FSX at AVSIM. 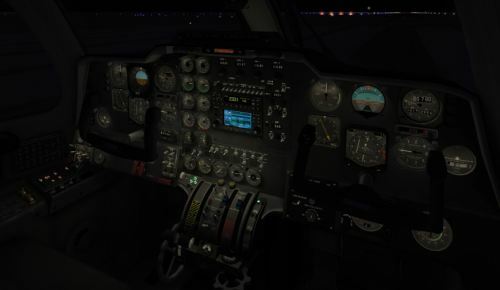 X-Scenery has posted final virtual cockpit lighting previews from the Mitsubishi MU-2B V1.5 for X-Plane. Dreamfoil Creations has posted the first virtual cockpit renders from the Robinson R22 for X-Plane. MilViz has released the manual and paintkit to the upcoming Northrop T-38A Talon for FSX. Taxi2Gate has released a small patch to their Monterrey Intl. Airport (MMMY) version 2 for FS2004. Orbx has posted the final previews before the release of Port Maquarie Airport (YPMQ) Version 3 for FSX. 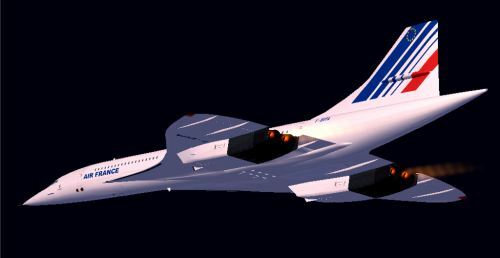 Libardo Guzman has released the completely reworked freeware Aérospatiale-BAC Concorde 2011 for FSX and FS2004. 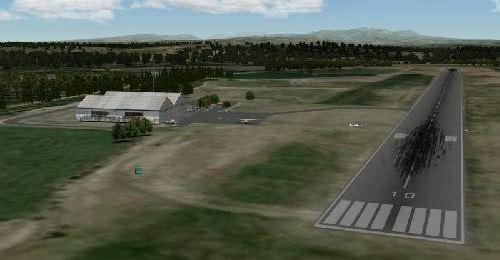 Don Grovestine has released his freeware Boundary Bay Airport 2011 (CZBB) for FSX and FS2004. Angelo Tassoglou has released his Kerkyra Island photo scenery for FSX. Download at AVSIM. The Microsoft Flight Development Team has posted Webisode 4 at the Microsoft Flight Website. 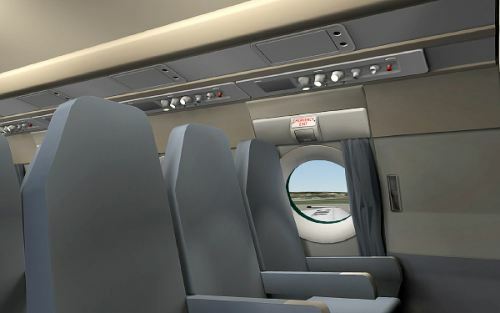 Leading Edge Simulations has posted another render from the upcoming Douglas DC-3 for X-Plane in the LES Forums. 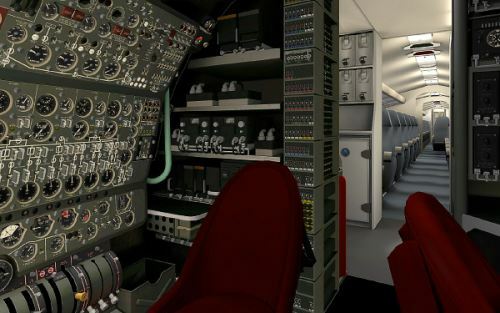 DH-Aircraft has posted interior previews from the upcoming de Havilland DH 106 Comet for X-Plane. The freeware Ussel-Thalamy Airport (LFCU) and Surroundings for X-Plane has been released at the XPFR Website.